Width . 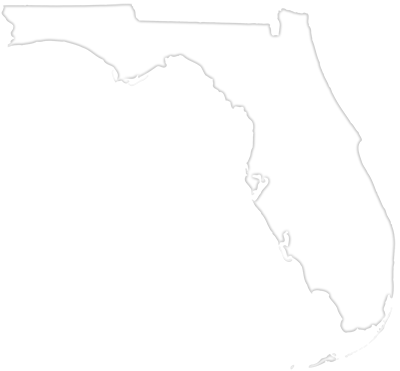 . . . . 37'-0"
Depth . 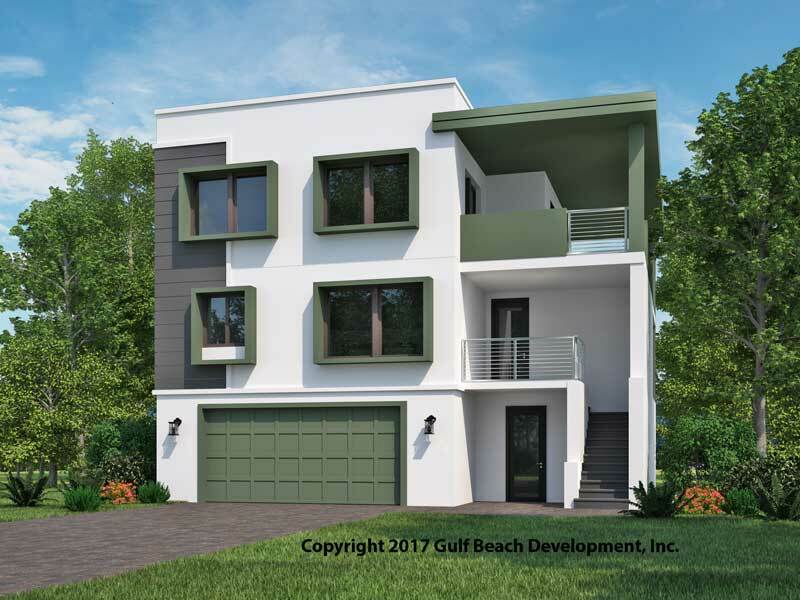 . . . . 39'-0"
The Ariel Island Coastal house plan is a three story contemporary style design with a flat roof elevated plan. 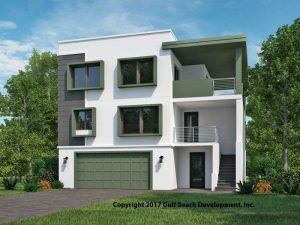 The first floor offers two car enclosed garage with additional storage and a large covered outdoor living area located under the man part of the home. 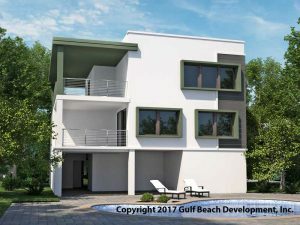 The exterior front stairs lead to the 2nd floor front porch and main living area. 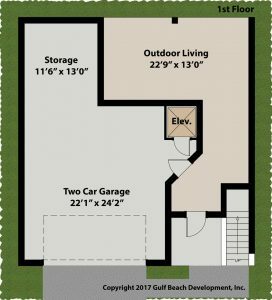 This open concept center floor packs in large Great room, Dining room and kitchen in a very efficient smaller square footage space. 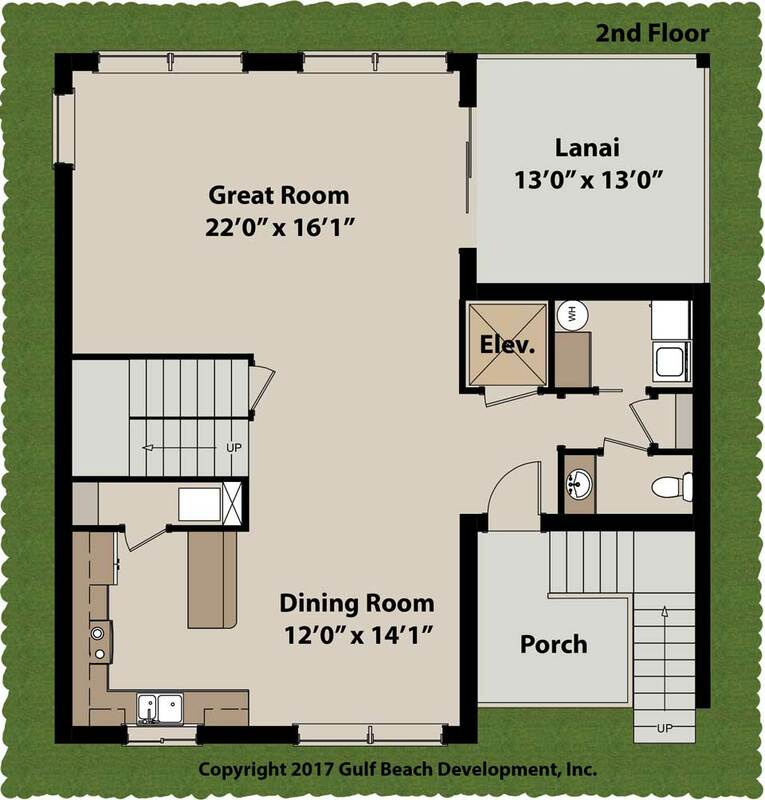 In addition the main level rear covered Lanai offers great outdoor option including dining on those beautiful fall Florida evenings. 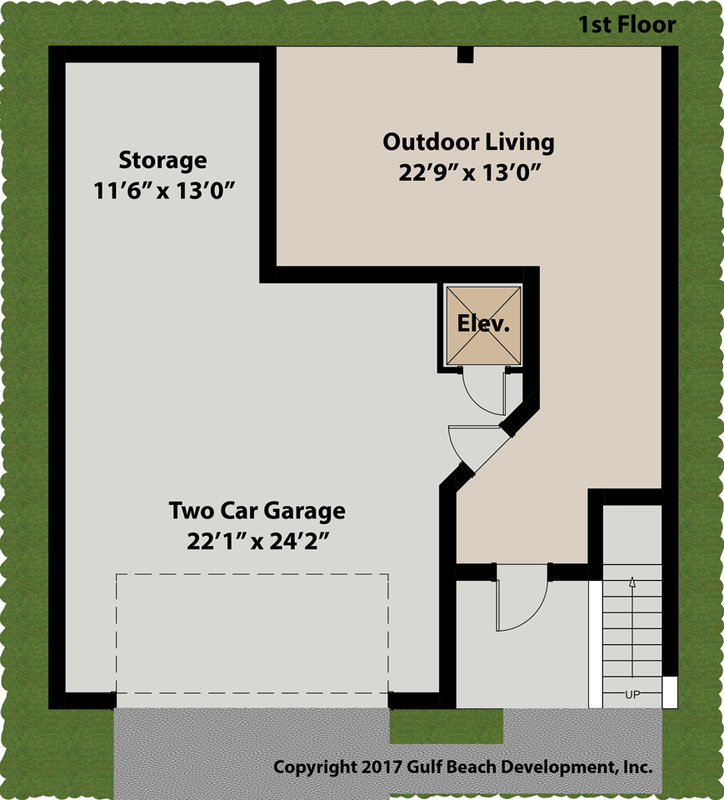 The top floor includes the rear facing master suite with full walk-in closet. The remaining two 3rd floor bedrooms share one central bathroom and offer enormous amount of lighting from their respective windows. 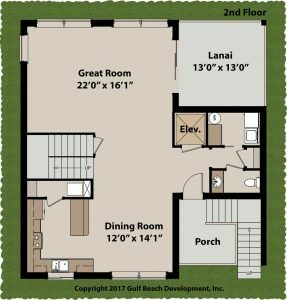 The most unique feature this coastal house plan offers is the top floor large covered Lanai. 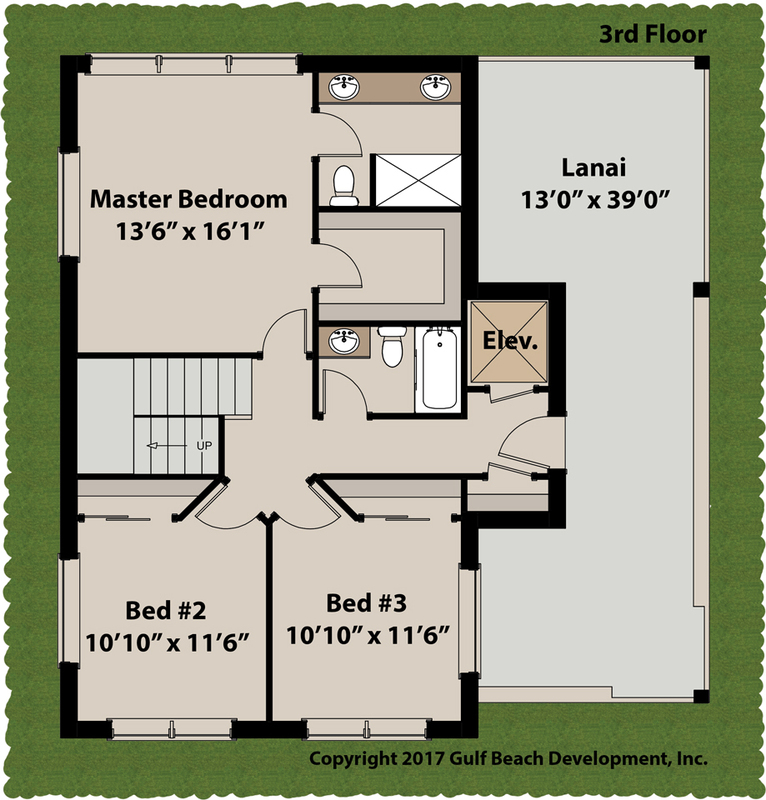 This Lanai stretches over thirty nine feet from front to back of this plan. 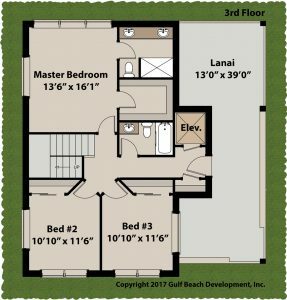 Not only does this Lanai make great viewing options from front to back it’s especially helpful when you expecting company and see them pulling into your drive while still enjoying the rear possible waterfront views. 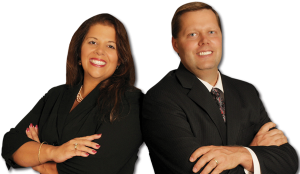 If you have ever considered building a waterfront elevated coastal home now is the time. 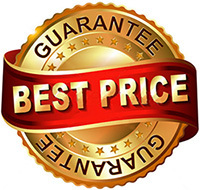 Gast Homes offers some of the area’s most affordable home building options that are by far the most energy efficient and strongest homes being built in Florida.